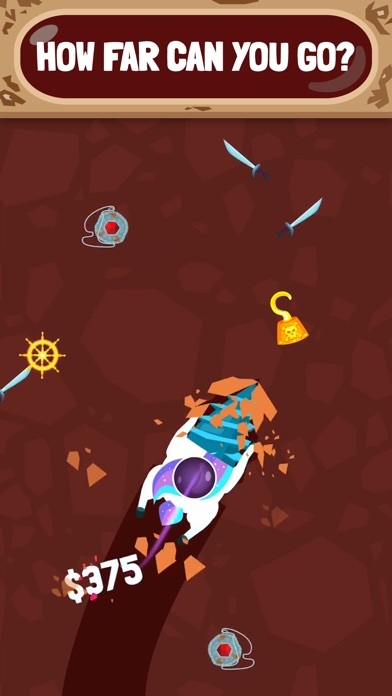 Tap to start your drill and drag to move from left to right, collecting treasure as you go. The more gems, jewels and... boomboxes you collect, the more you can upgrade and unlock new drills! Become a true Drill Master and grow your collection of fine trinkets and even finer drills! 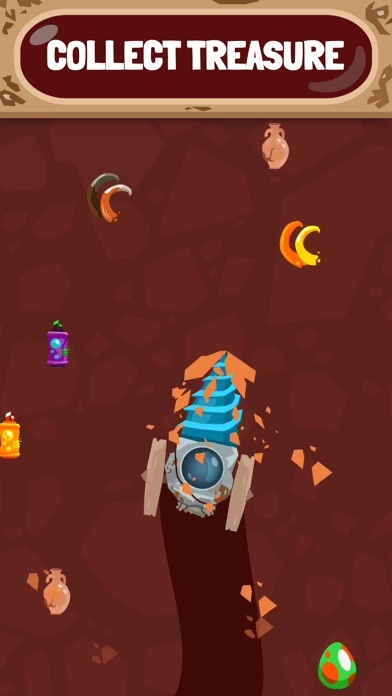 Drill Master features: - Simple and satisfying dirt-drilling, gem-collecting gameplay! - Discover a range of cool and mysterious treasures! 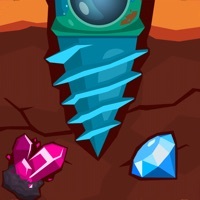 - Upgrade your drill, or unlock more, to go further and collect more treasure! - Let your drill go to work while you're away, and collect more money! There are way to many ads!! The game has a cool concept but it’s way to over barring l with the adds. After every dig it forces you to watch an add regardless if you chose not to double your earnings. An add after every few rounds is fine but after every one? No. I quickly deleted the add after about 7 digs and forced adds after each one. Played it for less than 5 minutes because I had more ad time than actual play time. The gameplay itself isn’t bad, but after nearly every run you have to watch a video ad whether you want to double your profits are not. It’s honestly a shame that the developers clearly prioritized ad revenue over the user’s experience. Ironically, if they hadn’t more people would play it and for longer. This would actually have increased their revenue as a whole. I love this game! Please update it with more drills and treasures! Is that going to happen? It took me like five months but i have maxed all three and have gotten all the drills and collected all gold parts for drills its very satisfying to. TIP FOR OTHER PLAYERS if you don't want to watch the ads then turn off your wifi. Fun game so far. I just got it, but it’s fun. I played this game for a few weeks. Maxed out all the upgrades and unlocked all the drills. Nothing else to do. Sadness. The game is great and very fun don’t get me wrong but as I just started playing this game a round would maybe last 10 seconds and every other round you have to watch an ad, this gets really annoying after about 10 rounds to the point where you have to watch ads as much as you play I timed this and it is almost perfectly 25 seconds of play time for 20 seconds of ads. This is too much!! 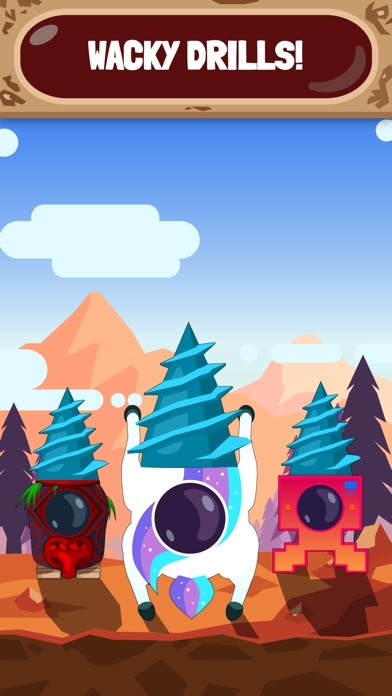 This game is so fun.download this game. Drill master I hope everyone has a good day. It often gives you a choice to double your money or not however no matter what you click in the game it gives you an ad. So why have the option to get normal amount of you force an ad down the players throat. Just give the double every time and force the ad. So my problem with the game is ads ads ads and more ads. Far to many ads for what the game is worth playing. The games honestly solid. Basic but runs smooth. The adds however are out of control. 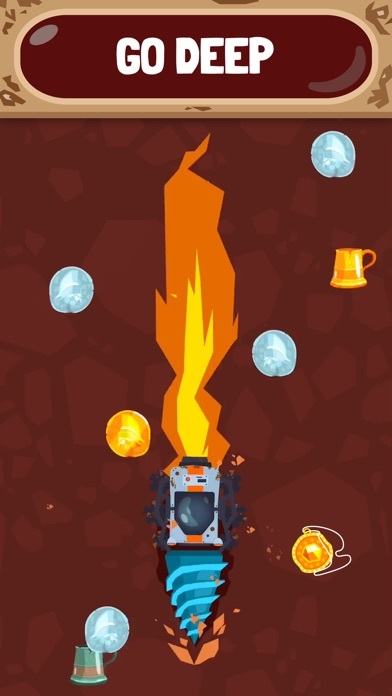 Games not worth paying for but if the adds weren’t so heavy it would be a solid time waster. Deleting after posting because the more you play the more adds you see which discourages long term play. When I first downloaded the game, it was spectacular, but when i had 5 ads in a ROW after digging, I had to write a review. This game is super addicting, but WAY to much ads. If you guys can fix it that would be great! Way too many ads. Choose not to watch them and get shown one anyway. Its a good game but it gets boring overtime thx for reading. 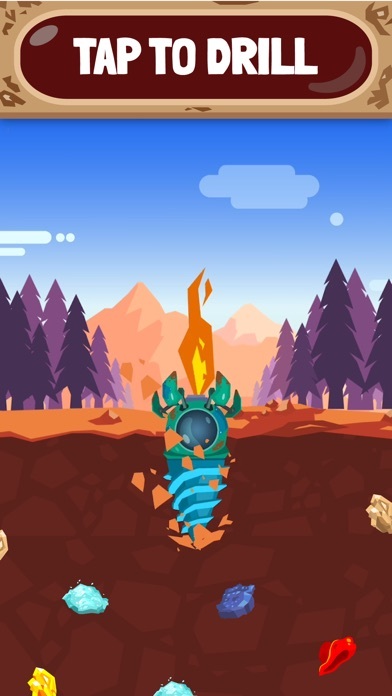 Another great idle games is brought into the world but like all of them there is some problems. Like all free games there is advertisements on the game. When you finish a run you are given the choice to double your money if you watch an add. I myself have clicked not to multiple times and still even though I did not want to watch an ad it forced me to. I tried clicking out of the game and then I was not given my money for that run. I understand that this game runs on ads but to use them in this way ruins the game. It makes the game very undesirable to play because half of the time you are watching ads. It ruins the beauty of the game with pop up ads ever single minute. If they could fix this I would definitely re-download this game! This game has a cool concept. You dig down and as the drill returns to the top you grab rocks and gold to fill your storage and that’s how you get money for upgrades such as drill depth, storage capacity, and idle money per min. As per the usual idle game you have options to watch a video to double your earnings that dig and also advance further. However, it seems even if you choose to not watch the ad to double your earnings, there is still an ad they force you to watch! Normally I would close the app and reopen it to avoid being forced into watching an ad I didn’t agree to, but doing so here they won’t give you your earnings for that dig! You are forced to watch an ad regardless if you choose to double your earnings or not which can be annoying if you are just trying to ignore the ads purposefully. I understand that ads are how these idle games tend to earn money due to people like me who will not spend money on meaningless apps, preferring to spend money on console games, however I feel that these games can also be over bearing and forceful with ads. Half the time you are playing the game, you are stuck behind an ad and I did not download an advertisement app. I downloaded a game and I would rather be spending most of my time playing the actual game instead of having to watching ads after every single dig. Quickly deleted the app. I spend more time watching all the ads than actually playing the game. The dive takes about ten seconds and the ads last a minute??? How does that make sense? Oh wait, y’all are voodoo... that explains it. Uninstalled.